As far as I’m concerned I (almost) always have the ingredients for teriyaki sauce and I almost always have chicken breasts (or thighs) — so at least in my universe if I don’t have the ingredients something is definitely wrong with me. 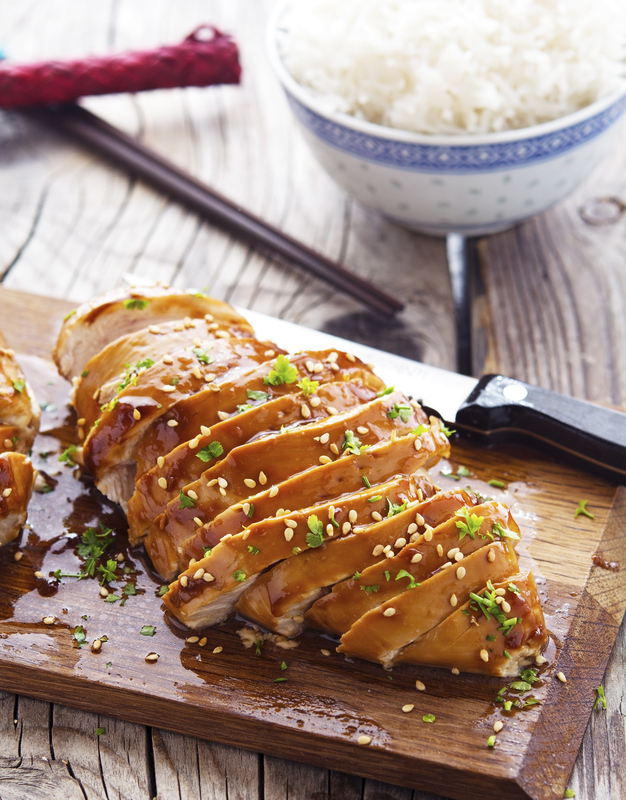 The thing about teriyaki chicken is that it takes hardly any time to put together, it is an extremely versatile dish, and — last but certainly not least — it’s delicious. 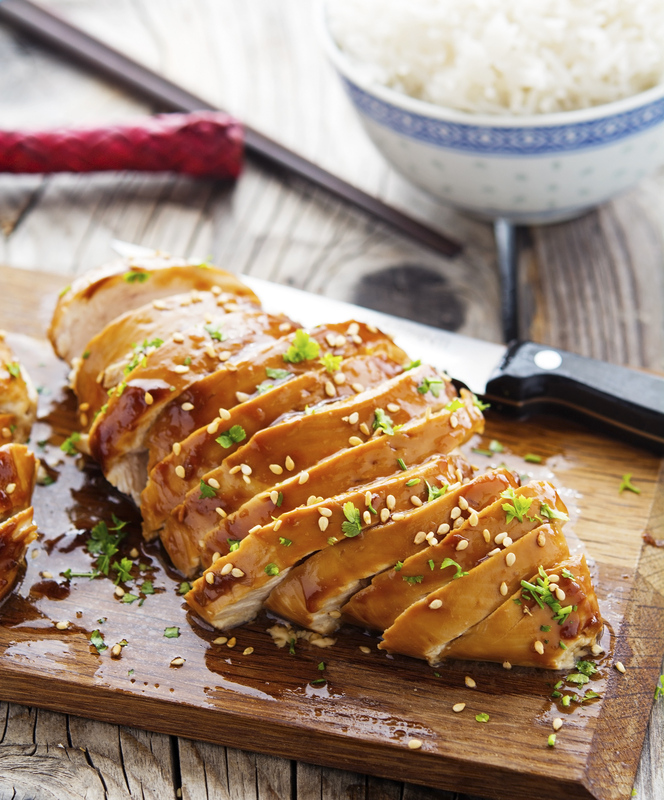 I don’t mean to brag but this Easy Baked Honey-Teriyaki Chicken is pretty epic. What makes this even better is that you can literally make this for pennies and tastes like 100x better than anything you can buy at the store. What I really love about this sauce is that it’s thick, almost glaze-like in consistency. There’s no need to marinate — even though marinating is always a smart thing to do. Anyways this is a super simple and tasty recipe that is definitely a crowd pleaser! 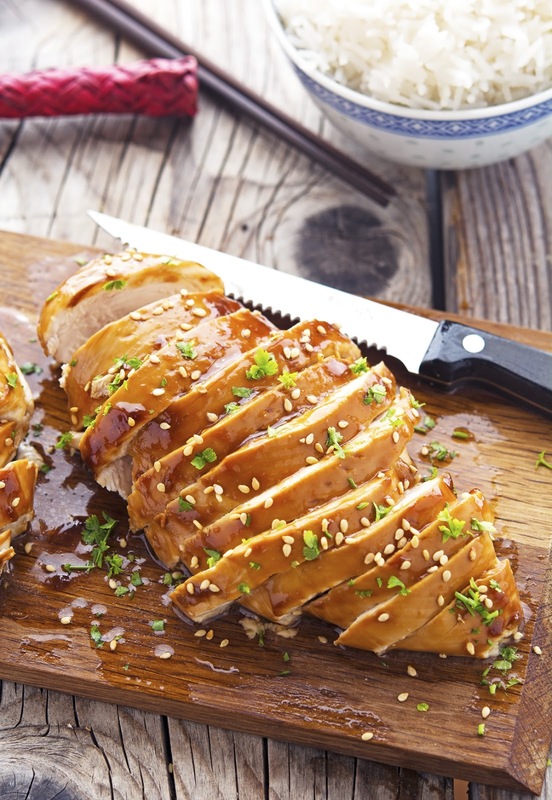 Easy Baked Honey-Teriyaki Chicken Print this recipe! Preheat oven to 425°F (220°C) and place a rack in the middle. Lightly grease a 9x13 baking dish and set aside. In a small saucepan mix arrowroot (or cornstarch) and cold water until a thin paste is formed, add soy sauce, mirin (or vinegar), honey, garlic, ginger, and black pepper. Simmer over low heat, stirring frequently, until sauce starts to thicken. Place chicken breasts on the prepared baking dish. Brush the chicken with the sauce on both side. Cooking time depends on how big the chicken breasts are and how hot your oven is; what matters most is that the chicken is thoroughly cooked. Once cooked, let the breasts rest for two minutes. 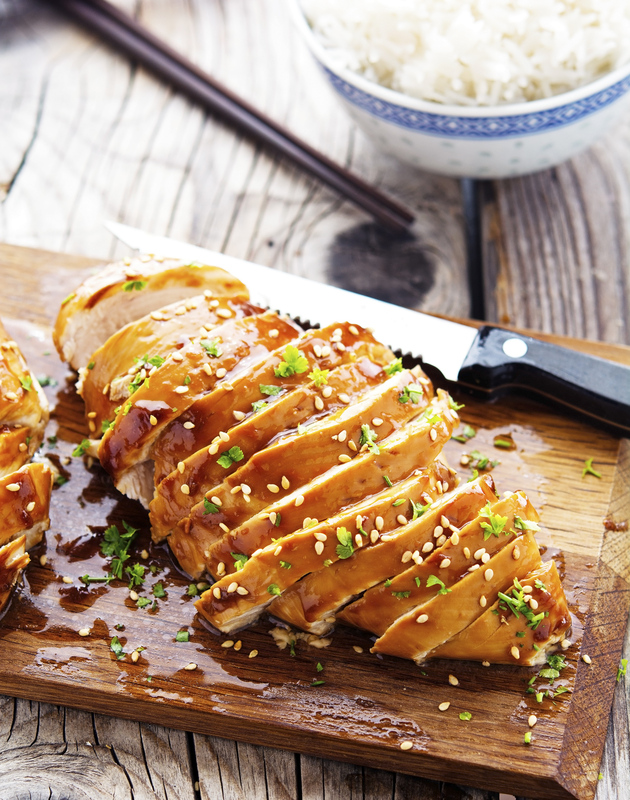 Slice the chicken, pour juices over it, sprinkle with sesame seeds, chopped cilantro, and serve. One serving yields 172 calories, 3 grams of fat, 6 grams of carbs, and 32 grams of protein. Ha, bet accepted...all but the chicken (cooked that 2 nights ago). Looks so yummy!!! Truly legit, like all wolfpack fare! Just beautiful Mike. I bet this is the best teriyaki chicken ever. I just buy my teriyaki sauce and never knew how simple it is to put together. Well, now I do and I will be making these soon. They look impressive. Can you explain how 4 breasts makes 6 servings? Want to get my macros correct. Should I cook 4 and chop and measure into 6 portions? Thanks! Yes, exactly. 1 1/2 breast per person should be plenty! It may hard to believe, but I've never made teriyaki chicken (even though I do like it). What a shame, eh? But when I am ready to make it, I know the place where I can find some good ideas. Well done, Mike! Blog interessante, bravo Mike! il pollo lo provo di sicuro..
And NOW I know what to do with the chicken breasts currently sitting in the fridge!! Thanks, Mike! You did it again, Mike! Slam dunk. We had this for dinner tonight. It was easy to make and so good! Terriyaki is one of my favorites and I loved this. My picky family (including 2 very picky teenagers) also ate every bite. I'm so happy to have found another recipe for the dinner rotation in my house. I'm so happy you guys liked it that much. Thank you so much for reporting back! An amazing recipe as usual! Tried it yesterday evening with chicken thighs instead of breasts and it was absolutely delicious! Will definitely make it again very soon! Thanks so much for your wonderful recipes Mike. My boyfriend can't eat a meal without meat so your blog has been great. Quick question - do you think the chicken tastes better if it's marinated? If so, how long is ideal? I marinated it previously and that turned out well. Then I drizzled each breast with honey, Maldon salt flakes, and Sriricha. My boyfriend really liked it. Marinating enhances flavors, so yes I believe it will improve the taste. I would brush the paste on the chicken and let it sit in the refrigerator anywhere from one hour t overnight. If you do try it, please report back!